The Board of Directors of 8x8, Inc. (the "Company") sets high standards for the Company's employees, officers and directors. Implicit in this philosophy is the importance of sound corporate governance. It is the duty of the Board of Directors to serve as a prudent fiduciary for shareholders and to oversee the management of the Company's business. To fulfill its responsibilities and to discharge its duty, the Board of Directors follows the procedures and standards that are set forth in these guidelines. These guidelines are subject to modification from time to time as the Board of Directors deems appropriate in the best interests of the Company or as required by applicable laws and regulations. Vik Verma is Chief Executive Officer at 8x8, Inc., the world’s first communications cloud provider, empowering over 1 million business users to communicate and collaborate across dispersed locations to deliver exceptional customer experiences. 8x8 is a pioneer in unified communications and customer engagement solutions with over 150 patents, driving global innovation in how companies communicate with their employees and customers. Vik is an engineer at heart who began his career at Savi Technology, Inc. (Savi), a leader in RFID and cloud-based technologies as a design engineer and went on to become the Chief Operating Officer and eventually the Chief Executive Officer of Savi in 1997. He holds eight patents and was named one of 40 “Technology Pioneers” by the World Economic Forum, in Davos, Switzerland in 2003 for a successful track record in building profitable businesses around emerging technologies. Vik joined 8x8 as a board member in 2012 and was appointed Chief Executive officer within a year to lead the company’s global expansion. He is the driving force behind 8x8’s market leadership in a 50 billion dollar unified and contact center communications market and its continued push for innovation in areas like Artificial Intelligence, machine learning and data analytics. Under Vik’s leadership, 8x8 has evolved into a global player in unified cloud communications from its inception as a Silicon Valley startup. With more than 25 years of industry and management experience, Vik has successfully transformed several technology businesses through organic growth, international expansion and strategic mergers and acquisitions. Prior to 8x8, he was President of Strategic Venture Development at Lockheed Martin where he led early-stage technologies to new global commercial markets through collaborative incubators, intellectual property portfolio licensing and strategic partnerships with multi-national companies. Prior to this, Vik was the President of the IS&GS Savi Group, a Lockheed Martin technology and information services division providing real-time supply chain management and security solutions for government and commercial markets worldwide. His journey with Lockheed Martin began when he was Chairman of the Board and CEO of Savi, that was acquired by Lockheed Martin in 2006. Vik holds a B.S.E.E. degree from the Florida Institute of Technology, an M.S.E. degree from the University of Michigan in electrical engineering, and the post-graduate degree of Engineer in Electrical Engineering from Stanford University. Subsequently, in keeping with Silicon Valley tradition, Vik left his PhD program at Stanford to join the startup world. He is also an alumni of the Executive Management programs for CEOs at Harvard Business School, Stanford University, and the Haas School of Business at UC Berkeley. Vik’s Florida Tech honors include being a recipient of the Faculty Honors Award (Co-Valedictorian) Class of 1987, the 1987 Tau Beta Pi Williams Fellowship, the 1999 Alumni Distinguished Achievement Award, and being selected as a commencement speaker in 2002. He served on the Florida Tech Board of Trustees from 2002 to 2007 and rejoined the board in 2015. Martin holds 65 United States Patents in the fields of semiconductors, computer architecture, video processing algorithms, videophones and communications. Internet Telephony magazine named one of the “Top 100 Voices of IP Communications.” Bryan also served on the California Broadband Task Force for the Business, Transportation and Housing Agency, and later became Chair of the task force’s Emerging Technologies and New Applications Working Group. Bryan is a member of the IEEE and Tau Beta Pi and received bachelor’s and master’s degrees in electrical engineering from Stanford University. With a focus on increasing stockholder value for technology companies and a passion for driving change and enabling growth, Steven is an experienced SaaS CFO. Steven brings 25+ years of leadership and finance expertise that will support the company’s globally expanding business, with a background across bulge bracket investment banking, big four public-company auditing, and nearly 10 years as a CFO. Steven has a distinctive track record of driving value creation for software and SaaS companies in both large public companies and earlier-stage, hyper-growth environments including Rapid7, VeriSign, Sterling Commerce, Elementum and PagerDuty. Before joining 8x8, Steven was CFO at high-growth SaaS companies Elementum and PagerDuty, where he helped scale their business models and operating execution. Prior to that, Gatoff was CFO at Rapid7, where he helped guide the company through its IPO and played a critical role in its global growth and execution. 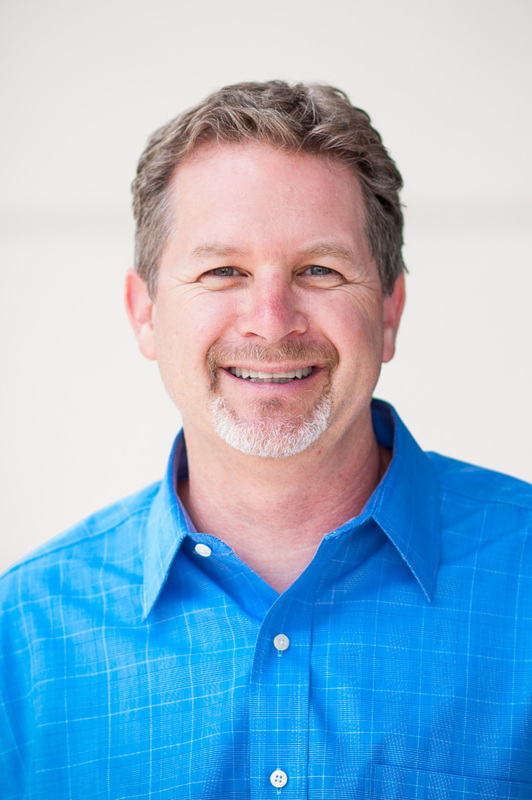 Prior to Rapid7, Steven was CFO of publicly-traded iPass, a cloud-based mobility management company. Prior to those positions, Steven spent nearly a decade in investment banking with Morgan Stanley, Credit Suisse and Bear Stearns after also having been an auditor with Deloitte. Steven received his MBA with honors from Columbia University and is a CPA. Mary Ellen is Managing Director of 8x8’s European Operations and brings more than 25 years of executive experience to the team. As part of her role, she is responsible for 500 European employees and driving 8x8’s expansion into wider European markets. Prior to her current role, Mary Ellen served as 8x8’s Chief Financial Officer during a period of significant revenue growth and business transformation. Mary Ellen was also Senior Vice President, Human Resources at 8x8, where she applied her talent to create a work environment that enabled people to perform their best. Before joining 8x8, she was CFO at Trimble Navigation Ltd., where revenues grew from $271 to $669 million during her tenure. Mary Ellen also served as the CFO of Savi Technology, where she prepared the company for an IPO event and the acquisition of Savi by Lockheed Martin. Dejan Deklich is 8x8’s chief product officer, responsible for the company’s global infrastructure, product vision and roadmap. His extensive experience in technology evaluation has made him an enthusiastic driver of corporate and product strategy for computational platforms and large scale systems from both a technical and a business perspective. Prior to 8x8, Dejan served as the vice president of Platform and Cloud at Splunk, where he was in charge of engineering for the core Splunk Enterprise product as well as the company’s next-generation architecture effort. Dejan also served as the chief technology officer of Merced Systems, which was acquired by NICE Systems in 2011, and the chief technology officer of Attributor, acquired by DigiMarc. In addition he has held positions at Yahoo! and IBM. John DeLozier is a key member of the 8x8 leadership team and holds the position of Channel Chief, VP Channel strategy and execution. John is highly decorated and well-respected in the channel community bringing more than 20 years of experience in business management and channel development. John's charge includes overseeing the development and execution of the 8x8 partner program. John comes to 8x8 from CenturyLink, where he helped create the award-winning Channel Alliance Partner Program. His career includes co-founding and running ACT, a system integration and application development company focusing on unified communications and collaboration (UCC) and call center implementations. ACT was widely recognized as the Avaya VAR communities preferred Platinum Services Partner. After selling ACT to Cross Telecom, he became Executive Vice President of that organization, handling Sales and Marketing, where the company maintained incredible growth based on his efforts. Cross was sold to Arrow Electronics, where John stayed on as Global Head of Sales and was successful for many years. John graduated from The Rinker School of Business at Palm Beach Atlantic University in West Palm Beach, Florida, with a degree in Business Management and Religion. Amelia Generalis leads 8x8’s global human resources and workplaces. Amelia brings 25 years of HR and business experience to 8x8 with a mix of Fortune 50 global brands as well as late stage “unicorn” hyper growth companies. Most recently ,she was the SVP of HR at Model N where she led the people integration of the largest acquisition in the history of the company. Amelia formerly held executive and management positions at leading organizations including Success Factors (which was acquired by SAP), Anaplan, Electronic Arts, and Royal Dutch Shell. Amelia holds a B.A. from the College of Charleston and a MBA from Vanderbilt University. Darren’s 20 years of management and operational experience help him create enterprise-ready cloud products and services that apply 8x8’s cutting-edge technology to solve everyday business problems. A respected leader in translating innovation into game-changing offerings, he has advised leading Silicon Valley companies and emerging start-ups, including Authentication Metrics, Inc. (now Agari), Blackfire Research and a major global security company. He also served as Senior Vice President of Operations for a SaaS business unit of Lockheed Martin that emerged following Lockheed’s acquisition of Savi Technology, Inc., where he previously held senior-level roles in engineering, product management, marketing and global operations. He holds bachelor’s and master’s degrees in electrical engineering from Stanford University. Meghan Keough is a seasoned marketing leader with 20 years in the technology industry where she has held leadership roles in product marketing, product management, marketing and alliances at both large enterprise software companies such as Siebel and Oracle as well as high growth start-ups such as SignalDemand. 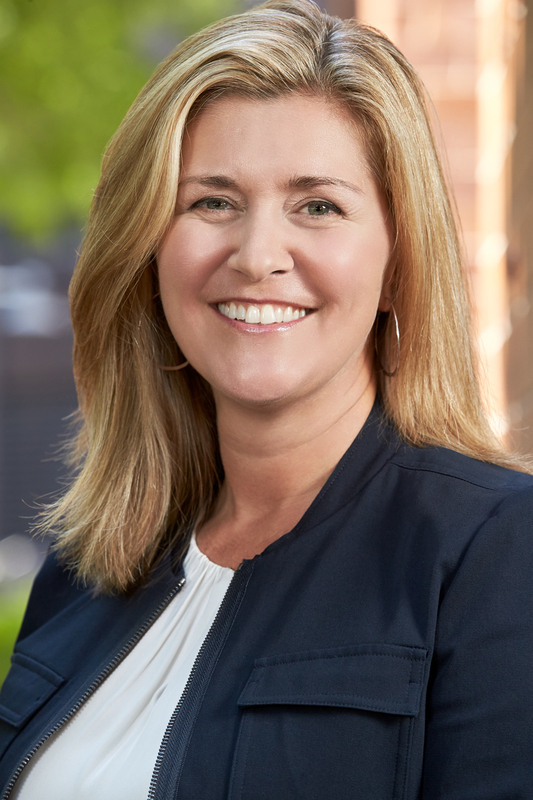 As Global Vice President of Corporate and Product Marketing, Meghan is currently responsible for leading the go-to-market strategy and execution for 8x8. Meghan received her MBA from Harvard Business School and a B.S. from Boston College. Venkat Nagaswamy is Global VP of Demand Generation. He came to 8x8 as a result of his company’s acquisition. As co-founder and CEO of MarianaIQ, Venkat Nagaswamy brings a long and diverse background in high technology to bear on applying artificial intelligence and Deep Learning to help marketers make account-based marketing (ABM) an at-scale reality. Venkat has led teams in creating analytics, technology and business development solutions at McKinsey, Juniper Networks and GE Plastics, among others. He’s worked in enterprise and digital consumer hardware, SaaS, corporate and business unit strategy, market entry strategy, product development, marketing planning and more, allowing him to understand martech challenges from both the CTO and CMO’s point of view. A proud graduate of the University of Michigan and the Georgia Institute of Technology, he holds an MBA and a Master’s in Aerospace Engineering. SVP of Global Services and Support for 8x8, Jeff’s charter is to transform and revolutionize the entire customer experience from deployment of services to ongoing service adoption, support and customer success. Jeff brings to 8x8 more than 25 years of international experience working with on-premises and cloud-based software companies to enable the rapid deployment of software and customer success across the Americas, Europe, Africa, Middle East, and Asia. Most recently he was Vice President of Global Services, Education, and Support for Model N, Inc., where he managed a worldwide team of consultants and partners focused on deploying Model N’s revenue management solution, transitioned the company to a cloud-deployed implementation model, and ensured adoption and customer success. Prior to Model N, Jeff held executive positions in the customer services organizations at Birst, Navis, Portal Software (acquired by Oracle), and PeopleSoft. He began his career as a technical consultant for Andersen Consulting (now Accenture) and Price Waterhouse (now IBM Global Services). Jeff received his B.S. in Electrical Engineering from Cornell University. Mehdi Salour is a super-ninja when it comes to global networks and DevOps. He leads 8x8′s global network, data center, and security operations, enabling enterprise-grade service delivery to be a key differentiation for the company. In addition, as 8x8 increasingly supports the growing needs of mid-market and enterprise customers, Mehdi is chartered with spearheading the company’s DevOps cultural transformation to accelerate the delivery of innovative features and services. Prior to this role, Mehdi led 8x8′s network operations, service deployment, customer support and success organizations, and met the demands of customers- across SMB to mid-market and enterprise. Mehdi has been with 8x8 since the inception of the VoIP and UCaaS services and played a major role in developing the company’s CRM strategy as it transitioned from an OEM technology company to a customer-centric service provider. Under his leadership, 8x8 has built a world-class global cloud service delivery and network infrastructure, resulting in increased customer satisfaction and low churn. Mehdi gained his real-world experience with enterprise networks through various other 8x8 positions, including IT Network Engineer, Network Operations Engineer, Manager of Technical Support, Director of Technical Support and Vice President of Network Operations. Mehdi holds a bachelor’s degree in electrical engineering and a master’s in software engineering with specialization in networking software and security. He holds three patents. 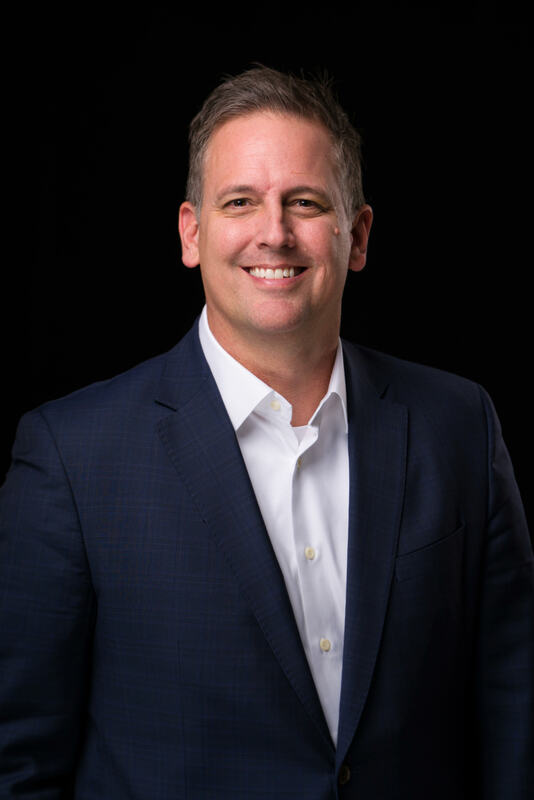 Scott Sampson is responsible for all efforts to expand global midmarket and enterprise sales with a focus on developing and leveraging channel relationships to help drive this consultative sales business. He has more than 25 years of software industry experience with a proven track record of sales success. Sampson was most recently the Chief Revenue Officer at New Voice Media where he had global responsibility for all the company’s sales, channel and marketing functions. He previously held sales executive and management positions at IBM, including Vice President of Worldwide Analytics Platform Sales, a multi-billion dollar revenue business, and Vice President of Industry Cloud Solutions, North America. While at IBM, Sampson led organizations ranging in size from 150 to 4,000 sales professionals, and was consistently ranked in the top one percent of global sales leadership. Sampson has a B.S. in Computer Science from Northeastern University and an MBA from the Massachusetts Institute of Technology. Samuel Wilson is responsible for all global small business and eCommerce sales, operations and delivery with an aim to accelerate growth and productivity in this high-volume, transactional business. He joins 8x8 from MobileIron where he was instrumental in taking the company public and part of the team that grew annual billings from $26 million to $200 million, including building and leading their eCommerce business. Prior to MobileIron, Wilson spent 14 years in technology banking, both as an analyst covering communications and as an institutional investor. Wilson has a B.S. in Electrical Engineering from Seattle University and an MBA from the University of California, Berkeley. Matthew Zinn is 8x8’s Senior Vice President, General Counsel, Corporate Secretary & Chief Privacy Officer, and is responsible for overseeing the company’s global legal, regulatory, privacy, and compliance efforts, as well as serving as the corporate secretary. Matthew’s deep business experience in the areas of communications, technology, and intellectual property give him the ability to anticipate legal and regulatory challenges, and position 8x8 to effectively manage those challenges and achieve bottom-line results. Matthew previously served as General Counsel and Secretary at Jaunt, Inc., a leader in producing and distributing immersive virtual and augmented reality content. Prior to Jaunt, he spent 16 years as Senior Vice President, General Counsel, Secretary, and Chief Privacy Officer for TiVo Inc., the digital video recording pioneer. The San Francisco Business Times and San Jose Business Journal recognized Matthew as the Judge’s Choice for the Best Bay Area Corporate Counsel in 2014, and he was awarded Dealmaker of the Year by the Association of Media and Entertainment Counsel in both 2012 and 2013 for negotiating a series of litigation settlements as part of a patent enforcement program that resulted in a total of more than $1.6 billion in guaranteed payments for TiVo. Previously, Matthew held senior legal positions at MediaOne Group Inc., Continental Cablevision, and the law firms of Cole, Raywid & Braverman and Fisher, Wayland, Cooper & Leader. Matthew holds a J.D. from the George Washington University National Law Center and a B.A. in political science from the University of Vermont. He serves on the Board of Directors for KQED Inc., a nonprofit media corporation in the San Francisco Bay Area. Major General Guy L. Hecker, Jr. has served as a director since August 1997 and lead director since January 2010. He was the founder of Stafford, Burke and Hecker, Inc., a consulting firm based in Alexandria, Virginia, and served as its President from 1982 to 2008. Prior to his retirement from the United States Air Force in 1982, Major General Hecker’s duties included serving as Director of the Air Force Office of Legislative Liaison and an appointment in the Office of the Deputy Chief of Staff, Research, Development and Acquisition for the Air Force. Earlier, he served as a pilot and commander in both fighter and bomber aircraft units, including command of a bomber wing and an air division. During his Air Force career, Major General Hecker was awarded a number of military decorations, including the Air Force Distinguished Service Medal, the Silver Star, the Legion of Merit (awarded twice) and the Distinguished Flying Cross. He currently serves on the board of directors of NavCom Defense Electronics. Major General Hecker received a B.A. from The Citadel, an M.A. in International Relations from George Washington University, an honorary Ph.D. in military science from The Citadel and completed the management development program at Harvard Business School. Ms. Bonner is Senior Vice President & Chief Marketing Officer at Akamai, where she is dually focused on driving growth and operational excellence. She leads Akamai’s marketing efforts globally including brand, communications, field and digital marketing, as well as the company’s sales and services training and enablement programs. Ms. Bonner has over 20 years of marketing and operations experience leveraging digital technologies, big data, and advanced analytics to drive efficient and effective personalized marketing at scale. Prior to Akamai, Ms. Bonner spent 16 years at Dell Technologies in several global leadership roles, most recently serving as VP of Global Digital, Technology and Innovation with a focus on leveraging new technologies to optimize marketing effectiveness. She spent seven years in Europe leading both sales and marketing groups for Dell’s European business and also held roles leading global brand and Americas marketing for the company. Ms. Bonner has served on the Ad Council’s Board of Directors and Conference Board’s Council for Brand Management. She earned her Bachelor of Arts from Middlebury College and her Master of Business from the University of Michigan. Ms. Bonner was recently awarded the 2018 Massachusetts Technology Leadership Council CMO of the Year Award. Ian Potter has served as a director since September 2013. Mr. Potter resides in Singapore and France and brings more than 25 years of international business development, management and operational experience to 8x8. From 1994 until his retirement from Morgan Stanley in 2013, Mr. Potter served the firm in various capacities, including most recently as Managing Director and supervised all aspects of the firm's commodity business in Asia while serving on a number of internal and external private company boards. During this time, he opened the group's New Delhi, Shanghai, and Tokyo offices and was responsible for developing the group's capacity across the region and expanding its product offerings. Mr. Potter is currently a Distinguished Fellow with INSEAD's Global Private Equity Initiative, a Senior Advisor to Morgan Stanley and the Managing Partner of Lion City Capital Partners. Mr. Potter began his career in London and New York working for Chase Manhattan Bank N.A. where he contributed to the development of the bank's interest rate and currency derivatives businesses. He holds an MBA from INSEAD in France and a BA from Queen's University in Canada. Jaswinder Pal Singh has served as a director since October 2013. Since 2004, Dr. Singh has served as a Full Professor of Computer Science at Princeton University. He has also served as Chairman since May 2013 and Co-Founder since October 2011 of Gwynnie Bee, Inc., an Internet technology company in the retail space. Previously, he was Co-Founder and Chief Technology Officer at firstRain, Inc., a SaaS provider of market intelligence solutions for the enterprise, where he led the development of award-winning technologies and products for web-based communication and information access. Dr. Singh also served as an advisor to Right Media, Inc., a SaaS online advertising exchange that was acquired by Yahoo in 2007, and later led the development of Yahoo's innovative next-generation advertising marketplace. Dr. Singh is a leading authority on Scalable Computing Systems, Infrastructure and Applications and has served as a consultant to several leading companies and agencies. He was the only computer scientist to receive the NSF Presidential Early Career Award for Scientists and Engineers in 1997 and was also a winner of the Sloan Research Fellowship in the same year. He is a coauthor of Parallel Computer Architecture: A Hardware-Software Approach, the leading textbook in Parallel Computing, and author of several patents and over 75 published research papers. Dr. Singh has a BSE degree from Princeton University and obtained his MS and PhD degrees from Stanford University. The procedure described below was put in place to enable shareholders and other interested parties to communicate directly with members of the Board of Directors of 8x8, Inc. You can use this procedure to report concerns (or provide comments, pose questions, etc.) to the full Board, or to the non-management/independent directors of 8x8, or to the lead independent director only. This procedure is available to shareholders, customers, vendors, partners and any other interested parties. You may submit your concern anonymously or confidentially by mail. The independent directors of 8x8 have authorized the company’s Corporate Secretary to review, sort and summarize communications submitted to the Board. The Corporate Secretary will distribute communications to the full Board, or to specific directors, as appropriate, depending on the facts and circumstances outlined in the communication. In addition, communications that are unduly hostile or threatening, or that contain illegal or obscene content, will be excluded from distribution based on the instructions of the independent directors. Any communication that is excluded shall nevertheless be made available to any non-management/independent director upon request. You may submit your comment, concern or question using the form below.